Fill out the form below to download the study! 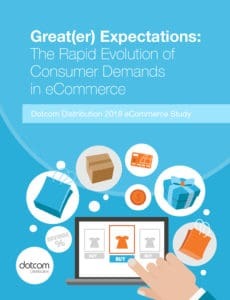 As eCommerce grows, how should your business strategy shift? To help brands understand this question, we surveyed 1,400+ online shoppers. Our 2018 eCommerce Study results show that today’s consumers prioritize convenience, experience, and quality when making online purchases. The 3 categories remaining on top for eCommerce brands…and more!